YOU ARE HERE: Home » Support Guides » Evolvit Support » Printer & Faxes » How do I send a fax from my PC? Our computer support team have put together this simple guide to help you send a fax using your PC. 1. Open the document, Web page, or e-mail message you want to fax. 2. On the File menu, click Print. 3. On the Print dialog box, under Select Printer, click “yourserver\Fax”. Then, click Print. 4. 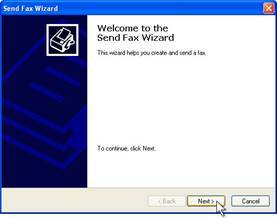 On the Welcome to the Send Fax Wizard page, click Next. 5. On the Recipient Information page, type the recipient name in the To box. 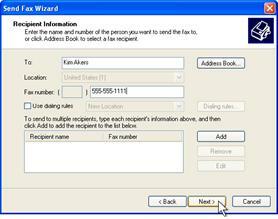 Type the recipient fax number in the Fax number box. If you want to send the fax to more than one recipient, type the recipient information in the appropriate boxes, and then click Add. When you have finished adding recipients, click Next. 6. 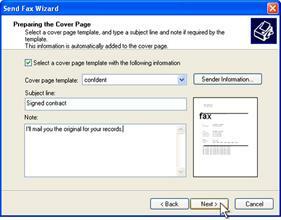 On the Preparing the Cover Page page, select the Select a cover page template with the following information check box. Click the template that you want in the Cover page template list. Complete the Subject line box and, optionally, the Note box. Then, click Next. 7. On the Schedule page, click Next. 8. 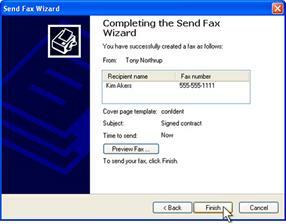 On the Completing the Send Fax Wizard page, click Finish to send the fax. 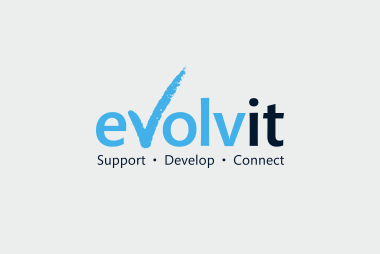 If you have any queries please contact Evolv IT.